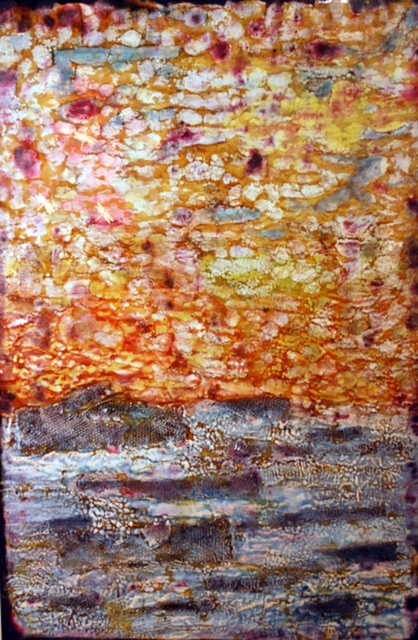 Asheville Gallery of Art’s November show, “Elements Unite,” will feature the work of encaustic and mixed media artist Michelle Hamilton. “I sculpt layers of colored wax on a large scale in a painterly, free-form way,” Hamilton says of her technique. 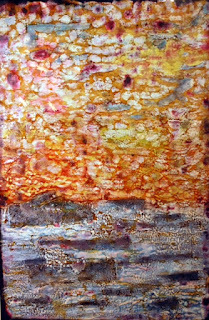 Her show will be displayed November 1-30 during gallery hours 11-6 p.m. Monday through Saturday and 1-4 p.m. Sundays. The public is cordially invited to a reception for the artist on Friday, November 4 from 5-8 p.m. 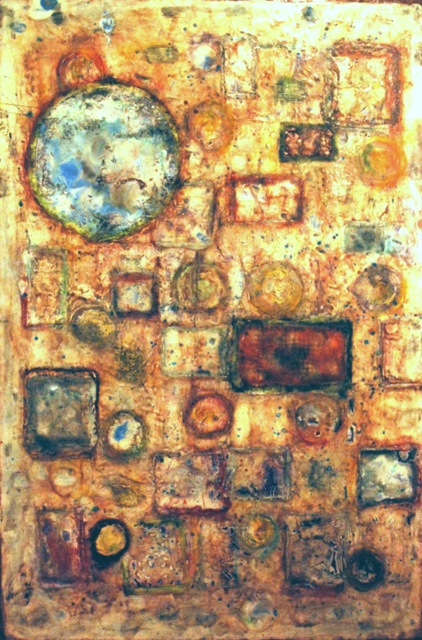 The gallery is located at 82 Patton Avenue in Asheville, across from Pritchard Park. Art education for Hamilton consists of workshops and classes, many of which have involved travel and exposure to different cultures. “Everything from Japanese fashion to Tim Burton has influenced my work, but my primary muse is nature (not surprising, considering the breathtaking beauty here in the Appalachian Mountains). I do not limit myself to one particular theme because it’s good to grow and change, and develop proficiency with my materials,” says Hamilton. As well as Hamilton’s paintings, those of the other 30 gallery members will be on display and for sale through the month of November. For further information about this show, telephone Asheville Gallery of Art at (828) 251-5796, visit the gallery website at www.ashevillegallery-of-art.com, or go to the gallery Facebook page.